In today’s world there are many uncertainties, but without being humorous, the one certainty we can rely on is each of us has a mortality schedule and will pass away. The hope for many is that we can live a full life and live into our 80’s or 90’s. With today’s technological advancement along with modern medicine, individuals are living much longer than anticipated. Insurance can be misconstrued as a “bad” word, very similar to the word “credit card”. Insurance can be an extremely valuable tool if used correctly and used in the right scenarios and planning situations. There are two main areas of focus in our Las Vegas insurance services practice with the use of insurance, Insurance Annuities, and Life Insurance. What Are the Different Types of Insurance Annuities? This was a great tool over the years to defer your risk by giving your money to the insurance company and in return, they pay you an income for the rest of your life. Many pensions have adopted this form of payment for many reasons and it is a great way for some individuals to receive a monthly or systematic payment. These Immediate annuities do offer guaranteed lifetime payments, however, there are many variations. Without getting too deep into the all the different types of immediate annuities, the most common downfall is a loss of control of the asset. Investors in an annuity, for the most part, do not have a principal corpus to draw upon in case of an emergency. With that said the fixed and variable annuity has evolved to be other options for investors in that space because the investor still has a balance they see along with the different guarantees offered. A fixed annuity is a very simple investment, it pays a fixed interest rate over a fixed period of time. This is a good CD alternative for some investors. Fixed annuities can offer higher interest rates than CD, offer tax deferral, and in states like Nevada offer asset and creditor protection. There is a newer type of fixed annuity called Fixed Index Annuity. This product offers no downside loss but can participate in the upside of an index such as the S&P 500. Usually, the upside is limited to 3-5% depending on the insurance company. This allows the investor to essentially invest the underlying portfolio assets into mutual funds to participate in the market gains and losses. The main reason investors look at fixed index or variable annuities is the guarantees offered that are not available in traditional investments. The two typical guarantees are called living benefits which can guarantee the investor guarantee income for life even after the portfolio diminishes to zero and the death benefit which can offer a higher net proceed to the beneficiary when the annuitant of the portfolio passes away. These are extremely valuable benefits to investors and with the market ups and downs, many investors look for guarantees in a non-guaranteed world. Life Insurance is in my opinion as a Certified Financial Planner a major pillar in any planning process. 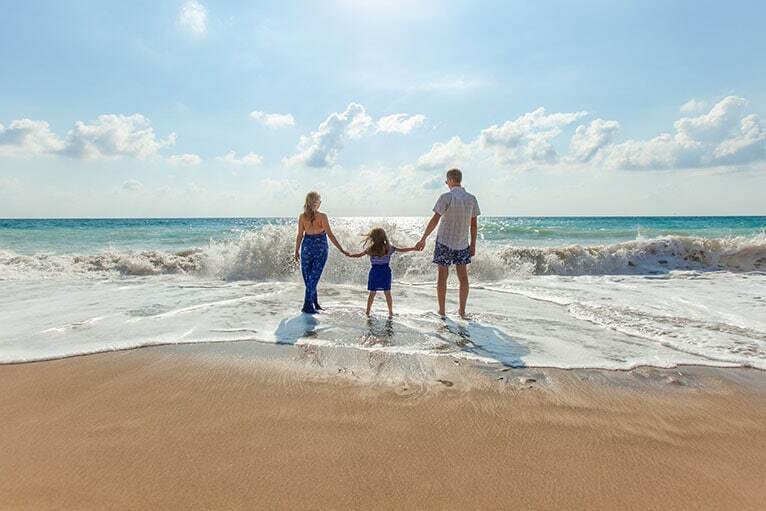 Life Insurance offers many benefits that you cannot receive with traditional investments such as tax-free income, deferred growth, tax-free withdrawals, and asset and creditor protection in some states. The most basic type of insurance is Term. Term insurance can be a great tool because it can be cost-effective and can serve a great short-term purpose. Insurance companies love selling term policies because it is reported less than 5% of policies ever get a claim on term policies. Permanent Life insurance policies, also known as Whole life and universal life policies, have very powerful benefits as well. When I use permanent Life Insurance policies with clients for planning, we primarily use this asset class for two purposes: Income planning and Estate Planning. The big benefits of using Life Insurance as an income tool is if structured correctly, all income is tax-free! Estate planning is a very general phase but to keep this concept simple, life insurance can be a great leverage tool to take 1 dollar and make it worth potentially 4 or 5 dollars as a benefit to pay for a future liability. We described Insurance very generally, but if you are interested in a more detailed explanation of how annuities or life insurance may make sense for you please take the time to contact me. With many changes over the recent years to market conditions, interest rates, more competition, it may be worthwhile to get an insurance review which we can do for you to make sure you have the best options available to you. You can find my contact information in the yellow section below to find out more about the Las Vegas insurance services we offer. Annuities are long-term investments designed for retirement purposes. Withdrawals of taxable amounts are subject to income tax and, if taken prior to age 59½, a 10% federal tax penalty may apply. Early withdrawals may be subject to withdrawal charges. Optional riders have limitations and are available for an additional cost through the purchase of a variable annuity contract. Guarantees are based on the claims paying ability of the issuing company. We also offer a wide range of other services including custom wealth management strategies. Be sure to take a look.